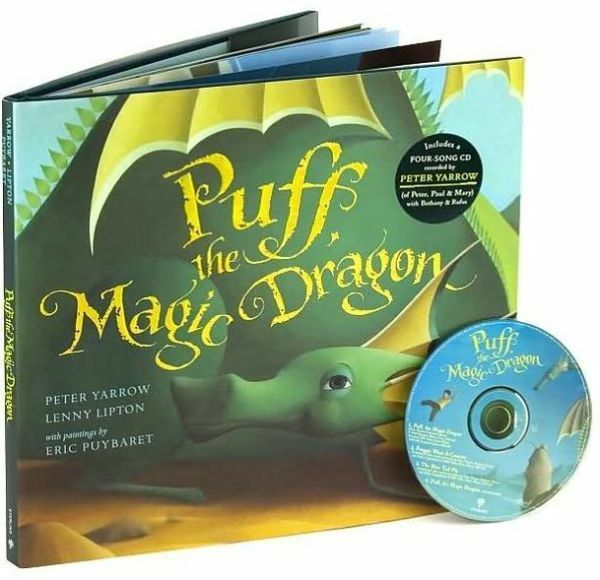 Puff, the Magic Dragon is simply one of the most beloved songs of all time—a classic that’s become as much a part of the childhood experience as Mother Goose and fairy tales. Yet singer/songwriter Peter Yarrow and co-composer Lenny Lipton have never allowed a picture book adaptation of this magical tale…until now. With Yarrow’s and Lipton’s blessing, Puff, Jackie Paper, and the land of Honalee finally live on the page. 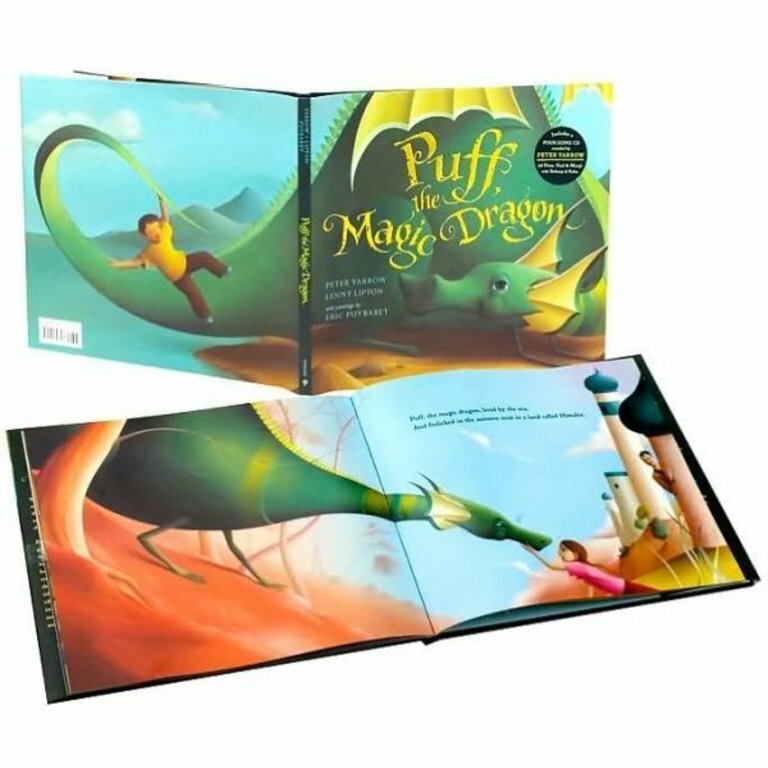 The exquisite package includes a cloth case with a tipped-in illustration and an embossed jacket with foil touches, as well as an exclusive CD featuring not only Puff, but several other songs performed by Yarrow, his daughter Bethany, and cellist Rufus Cappadocia. This is a publishing event sure to attract broad attention and please Puff’s many fans. In richly-hued paintings of the deepest sea blues and greens, Puff and his friend Jackie Paper frolic in the land of Honalee—traveling in a fantastic boat with billowed sails, climbing red castle stairs onto a balcony to meet with noble kings and princes, and watching pirate ships lower their flags for the roaring dragon. Artist Eric Puybaret has brought an entire magical world into being with enthralling landscapes, color, and characters. And everyone will love the way the art cleverly turns the song’s end, which at first seemed so sad, into a surprising and joyful moment. Best of all—this is only the first of many more collaborations with Peter Yarrow to come! 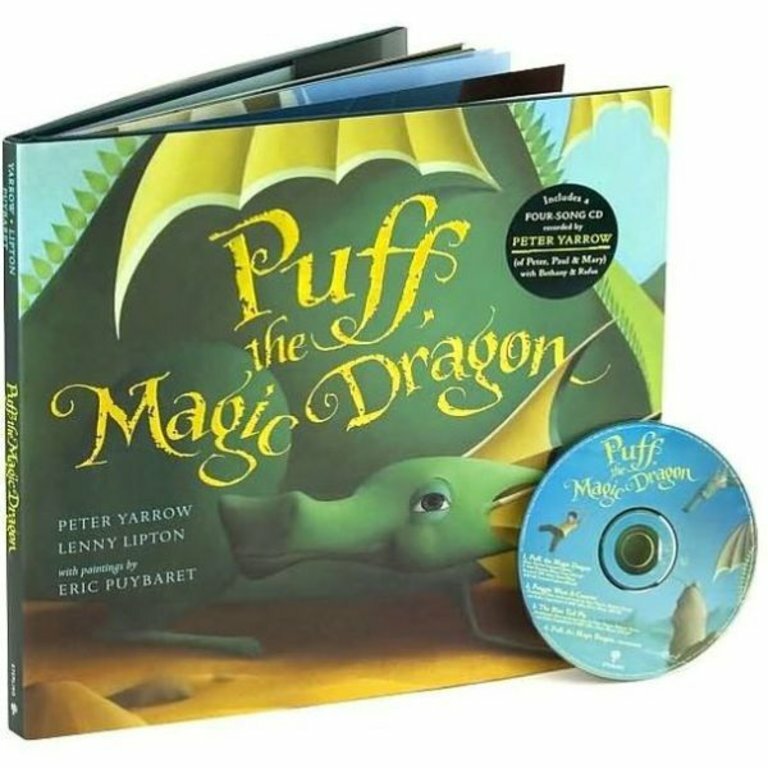 In 1959, Peter Yarrow and Lenny Lipton co-created the beloved song "Puff, the Magic Dragon." As a member of the renowned trio Peter, Paul & Mary, Peter Yarrow has earned many gold and platinum awards and numerous Grammys®, as well as an Emmy® nomination for his animated TV specials based on "Puff, the Magic Dragon." Among the many honors bestowed upon him, Yarrow is most proud of the Allard K. Lowenstein Award, which he received in 1982 for advancing the causes of human rights, peace, and freedom. He lives in New York City. Lenny Lipton is the inventor of the modern 3-D projection system used in cinemas worldwide and the author of four books on motion-picture technology. He received an award from the Smithsonian for his invention. Eric Puybaret graduated from the École Nationale Supérieure des Arts Décoratifs in Paris. 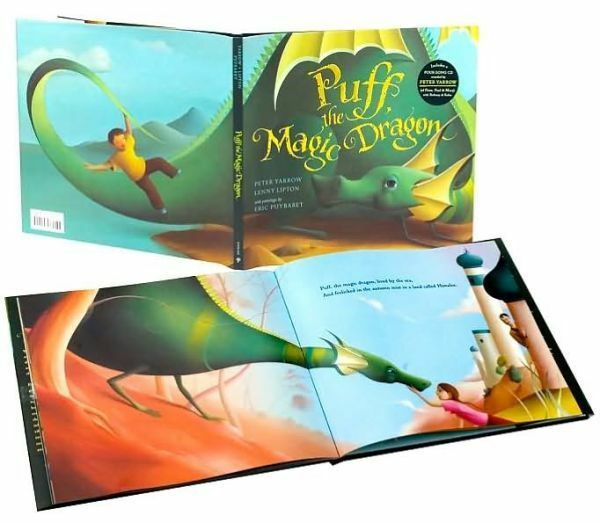 Puff, the Magic Dragon was his first book, and he has since gone on to illustrate several others, including The Nutcracker for Sterling, and a picture book edition of Somewhere Over the Rainbow with a musical interpretation by Judy Collins. Puybaret lives in Paris, France.